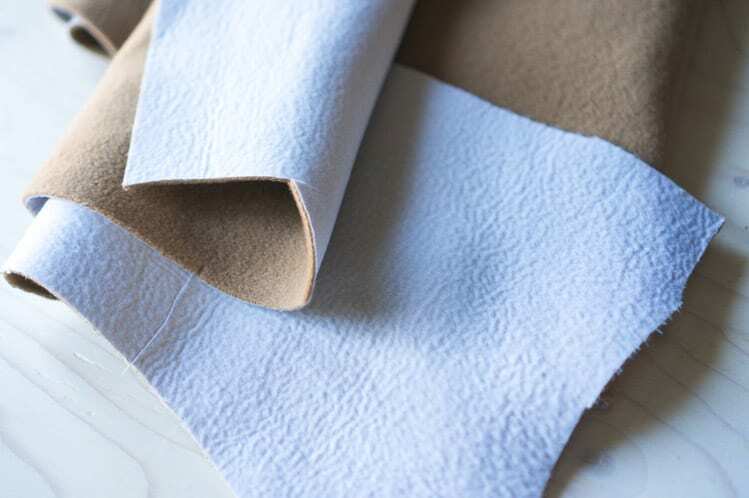 In addition to the coating fabrics and lining we discussed yesterday, you’ll need to gather a few additional supplies to make your Clare Coat. I’m hoping most of this will be available at your local shop, but I’m also providing as many online resources as possible. 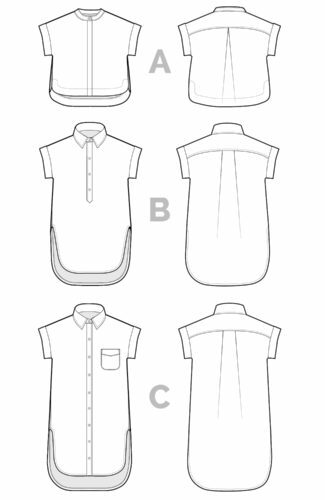 While Clare doesn’t demand the kind of elabourate interfacing applications of more tailored jackets (think roll lines, pad stitching etc) it is imperative that you stabilize key areas, especially around the shoulders, seams and hems. 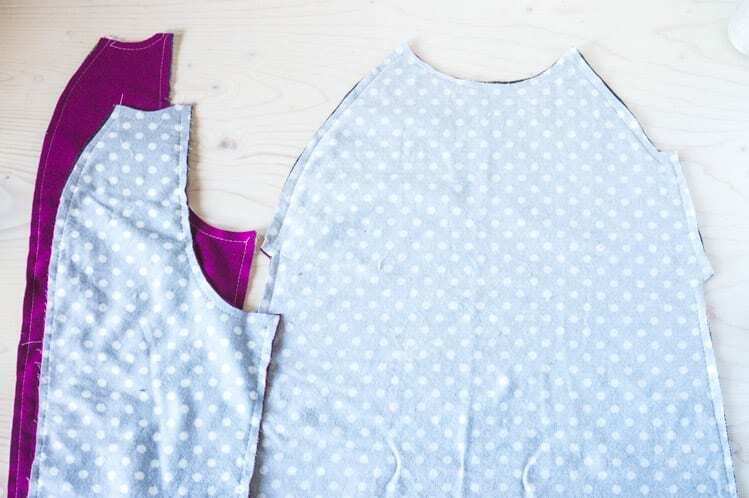 Interfacing adds a little body to your fabric, and prevents fabric from stretching over time. Do not skip this step! 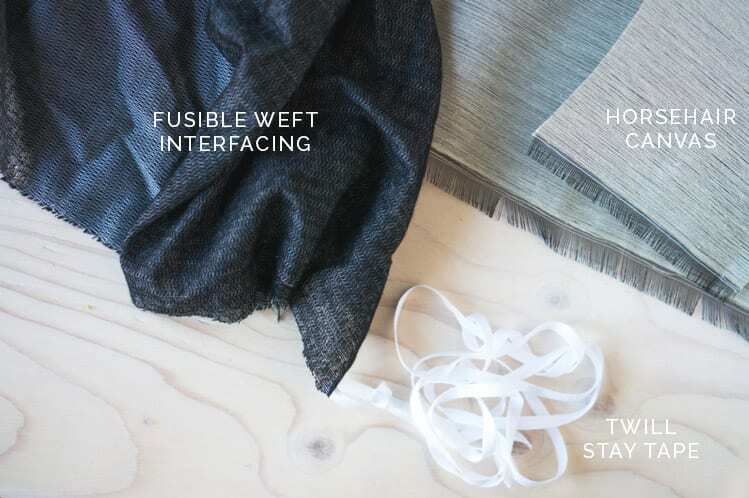 Weft fusible is my preferred interfacing for Clare; it is a classic tailor’s supply, and adds fluid drape and structure to coating fabrics. 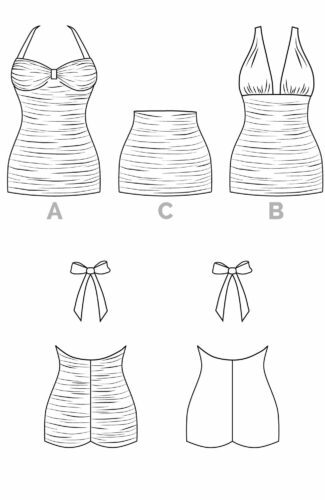 If you are making Clare with a fabric that can’t be pressed (I’m thinking about velvet or faux fur) you may also substitute it for sew-in fabric interfacing. 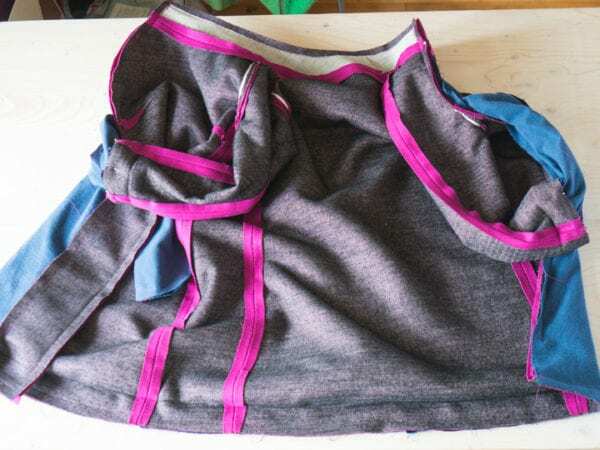 It is woven, not the solid sheets you might be used to, and has a little stretch or give to it, but not quite so much as interfacing designed specifically for knits. It generally comes in wide widths, but I also include quantities for the narrower 20″ kind if that’s what you’re using. 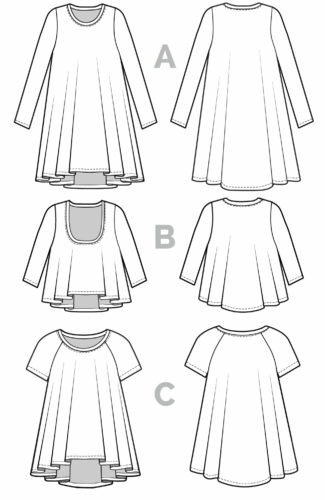 Unless you’re sewing a very light coloured fabric, black should be fine; I find it is more commonly available. You should be able to find this in the interfacing section of your fabric store. 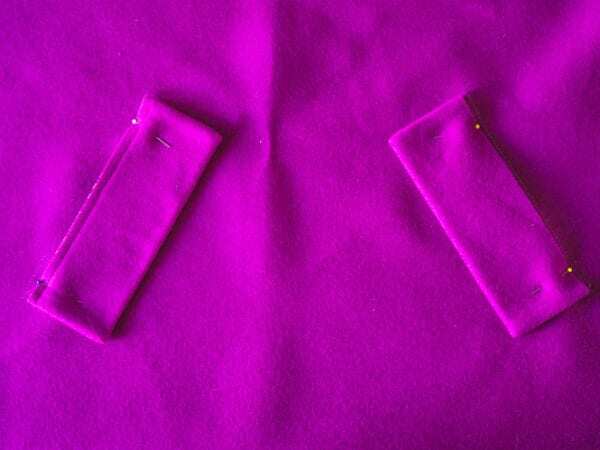 If you’re lucky, your fabric will come pre-interfaced. This is generally more common with end lots from manufacturers, but it will save you some prep time. If your fabric is not as beefy as you’d like, you can also block fuse all of your fabric to add a little body everywhere. 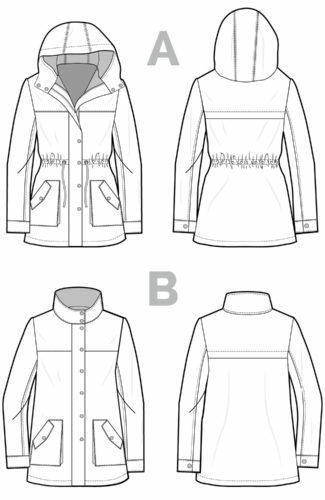 Both of my Clare samples are completely interfaced and it creates a nice crisp coat, especially with wools. 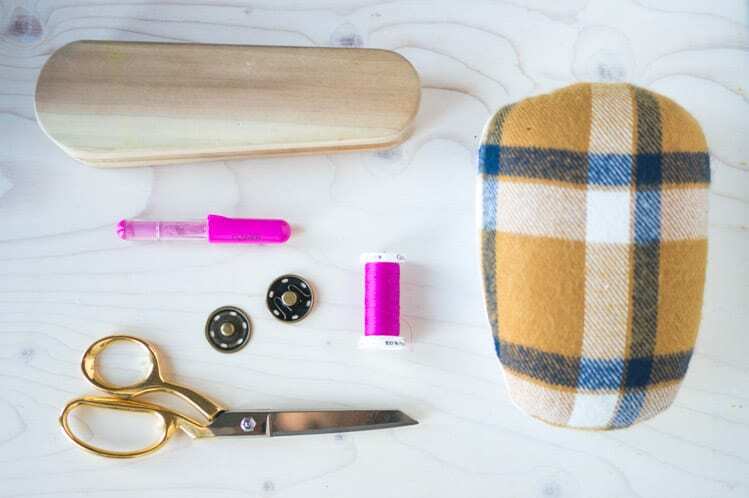 Online sources: I’ve heard great things about the Pro-Weft at Fashion Sewing Supplies. 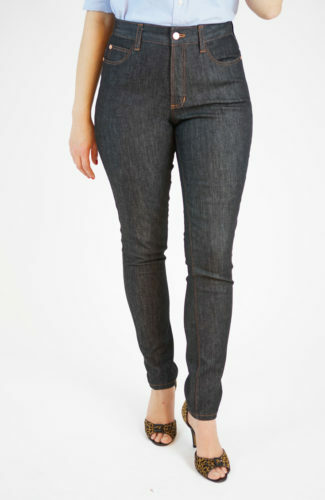 You can also get the Pellon brand at Fabric.com. Also: Vogue Fabrics. If you’re making View A, I also suggest you pick up a 1/2″ yard of horsehair interfacing. In a pinch you can use a sturdy fabric like regular cotton canvas, but horsehair provides strong but flexible structure to your collar. You can buy sew-in or fusible. I used regular sew-in but I think the fusible would be a better choice if you’re not going to pad-stitch it into place. You’ll also need to pick up around 3 yards of cotton twill stay tape. 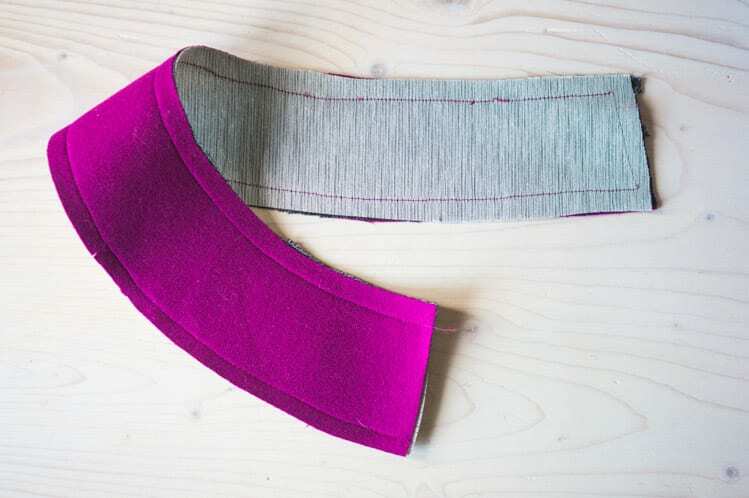 We’ll be sewing this along our raglan and collar seams to prevent them from stretching out. You should be able to find it at your local fabric store by the yard, but you can also buy it in readymade packs like this. Is it colder than a withering glare from Judy Dench where you live? 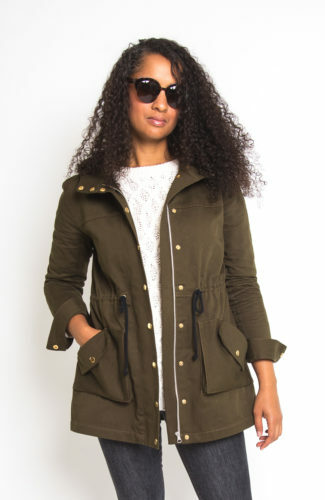 Consider adding a layer of interlining for warmth. 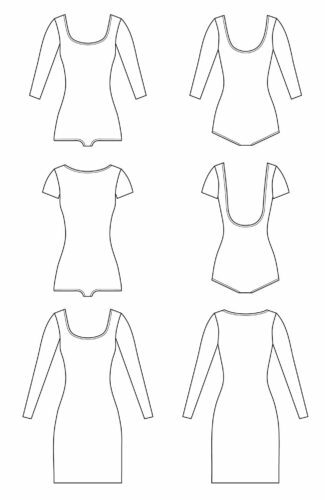 Not to be confused with underlining (which means adding a layer of fabric for additional structure/body), interlining simply means sewing a double layer of something like cotton flannel or lambswool to your body fabric. 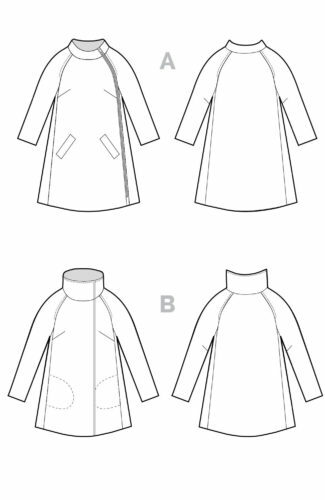 You would cut all of your main pieces (sleeves, front, back and sides) from the same pattern pieces, baste them together and then treat the whole thing as one layer. 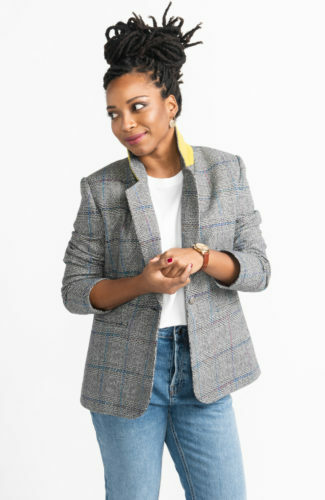 For even more warmth, you can use something like 3M thinsulate, which is what commercial manufacturers often use in wool coats. 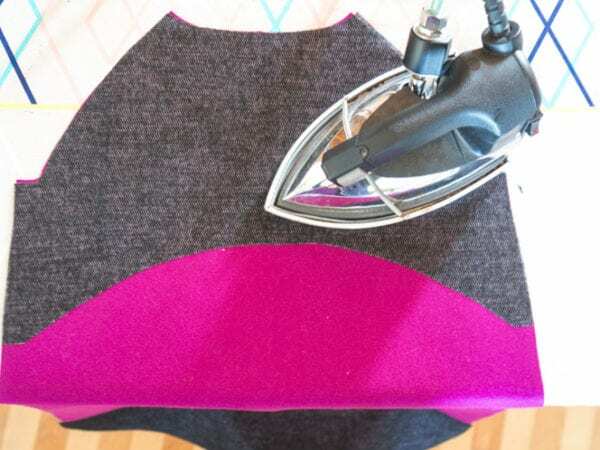 Rather than sewing it to your fashion fabric, you baste it to your lining pieces to help reduce bulk. 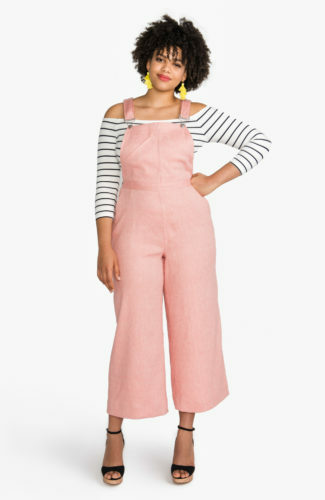 You can get it at Vogue Fabrics. I think Seattle Fabrics carries it as well but their website is a little confusing; you may have to call and ask. 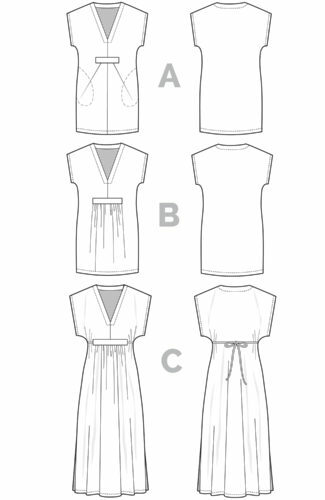 Depending on what version of Clare you make, you’ll need to source either zippers or button closures. 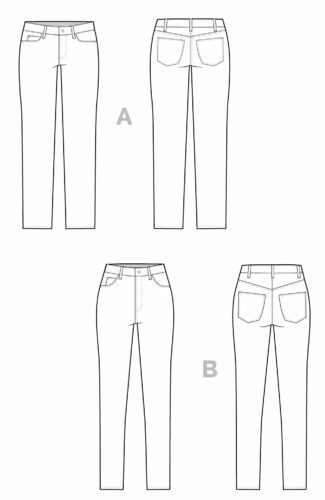 I’ve called for zippers that are 30-32″ long in length; you should be able to find them at your local big box sewing store, or anywhere that has a decent selection of notions. Just make sure you get the separating kind; I custom ordered a Riri zipper, sewed it into an early sample and realized it didn’t open at the bottom. Major bummer. 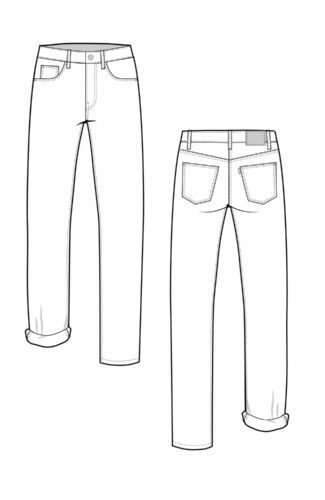 You can also trim your zippers if you find one you like that is too long. My main piece of advice is to go with a metal zipper if you can find them; they look better exposed and are less likely to melt on you during the pressing stage. 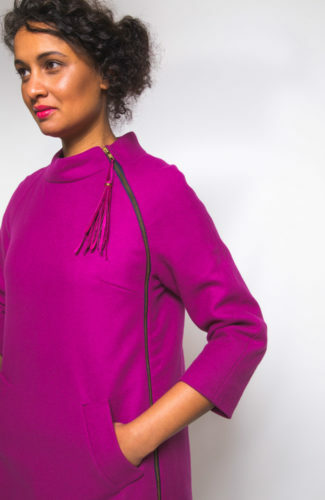 If you want to splurge, I absolutely LOVE fancy schmancy Riri zippers. You can get them in any length, in every colour of the rainbow, along with gold, silver, bronze or rose coloured teeth, and your chance of zipper pulls. The only place I know of to get them is Pacific Trimming; make sure you specify the 6mm teeth. You can try Zipperstop for YKK zippers; they have a huge selection and will trim your zipper to the correct length. 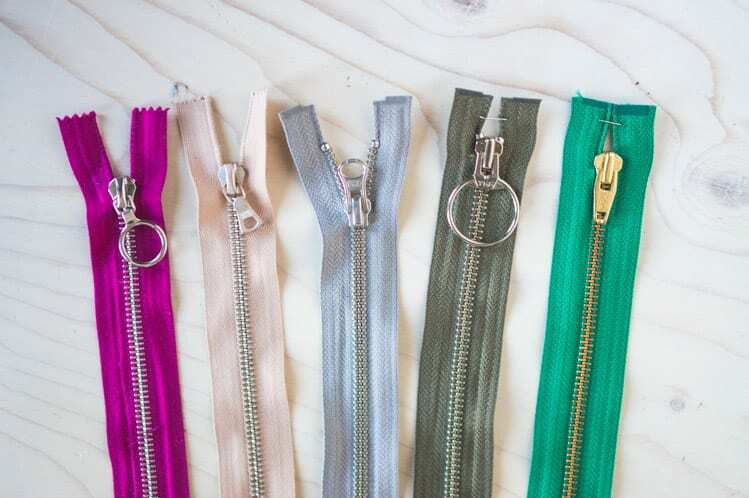 Wawak also has a decent selection of zippers in multiple colors, but you’ll need to trim them yourself. If you’re making View B, you’ll need buttons or concealed snaps. 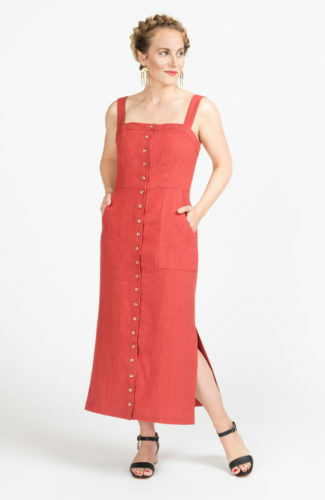 Again, I got my giant snap buttons from Pacific Trimming – they take some time to sew in but I love them. 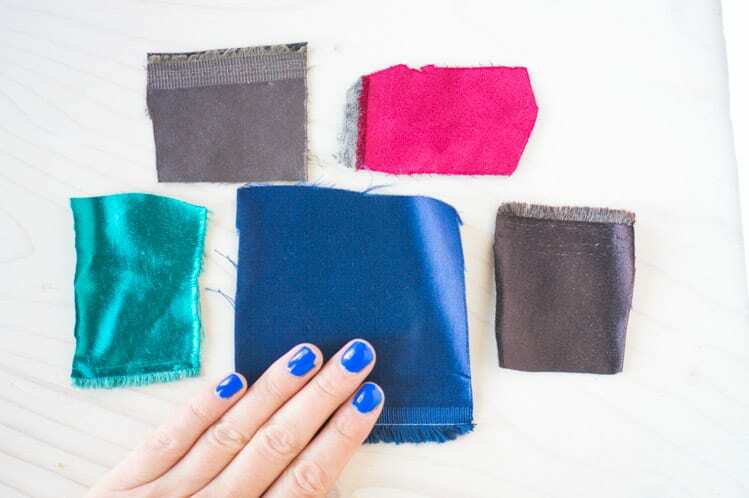 The key to coat-making is thorough pressing; it’s worth it to spring for a tailor’s ham or seam roll if you can afford it since you’ll end up using it all the time anyway (you can always DIY them following this tutorial on Tilly & the Buttons). Finally, a sharp pair of shears or a rotary cutter, matching thread and a marking pen, and a clapper for those crisps seams I was raving about yesterday (any piece of hardwood will do the trick). And that’s it! Tomorrow I’ll be covering some common alterations, and we’ll get started on constructed on Monday. Questions? I’ll answer below!